Joint pain might seem like nothing more than a side effect of getting older, but the reality is that pain isn’t supposed to be something that rules your life. Pain is meant to be a sign that something is wrong with your body and needs to be fixed, and in some cases, pain is a sign that you need major medical attention to function properly. Unfortunately, it’s not always easy to know when you’ve got a condition that can be treated over the counter or when you have a serious joint issue that requires a visit to a joint replacement hospital in Jacksonville, FL. It’s important to listen to your body, and these are a few signs it’s time to contact your doctor about joint replacement! If you’re in your mid 50’s and are struggling with completing simple tasks because your body can’t take the pain, that’s a serious problem. Getting through the basic routine of the day shouldn’t be so unbearable that you can’t function on your own. If you find yourself struggling to get through any tasks that were once simple for you to complete, it’s time for you to see a specialist. 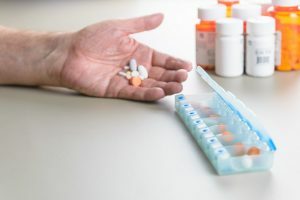 If you’ve seen any of the commercials related to medication on Sundays during the Jaguars games, you know that side effects are something that can happen when taking certain medicines. As the commercials typically say, most side effects are generally mild, but when they aren’t, you’ve got a serious issue. If your medication is genuinely making it harder to get through your day because of your side effects, then you need to talk to your doctor about alternative options. The longer you deal with side effects, the more long-term damage you can do to your body. A lack of sleep isn’t a good thing for you or your body. When you don’t get enough sleep, your body doesn’t get the chance to rest and repair itself from the stress of the day. When you can’t get to sleep because you’re in pain, you’re in a cycle because, not only is your body hurting, it’s also not getting a chance to recharge, which only makes your pain worse. If you aren’t getting regular, consistent sleep because your joints are hurting you, it’s time to schedule a doctor’s appointment. 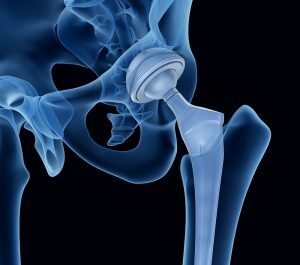 When your doctor sees joint damage in your body, it’s time to seriously consider a joint replacement. At the minimum, it’s time to discuss options with your doctor. The key to long-term health is listening to the two biggest experts on your body: your body itself and your doctor. If your body is sending signals of serious pain, it’s a good idea to schedule an appointment with your regular doctor, who will then refer you to a joint replacement hospital in Jacksonville, FL. You’ll at least find out the problem and come up with a way to solve it!